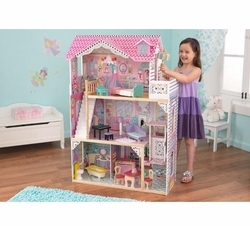 Watch your little girl spend hours keeping house in this adorable dollhouse! 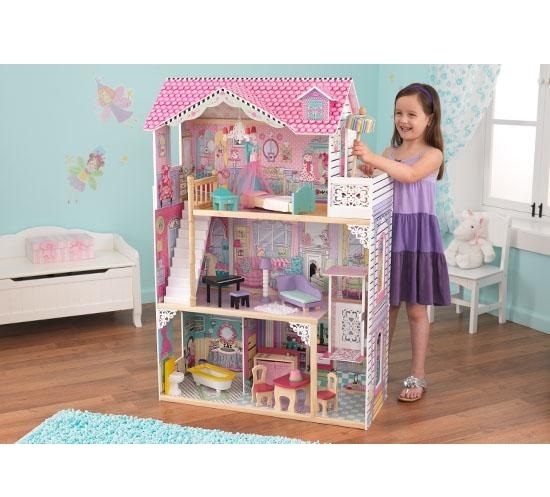 This unique wall-hanging dollhouse is just 9 inches deep, yet with 5 large rooms, an attic cubby, and a tower chamber, it has all the detailing of a full-size house. Three latticed storage drawers beneath the dollhouse enhance the design and are perfect for storing accessories. Assembly required with adult supervision.